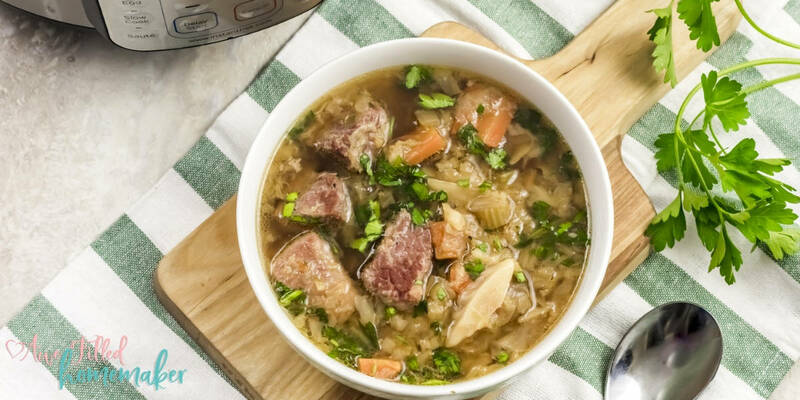 Hearty and delicious Instant Pot Corned Beef & Cabbage is what’s for dinner. With St. Patrick’s Day in view, we decided to create and perfect a meal for the upcoming holiday. Made with tender and delicious corned beef, you’ll truly love each and every bite. I don’t think I’ll ever discover a soup that doesn’t taste amazing in my Instant Pot (IP). 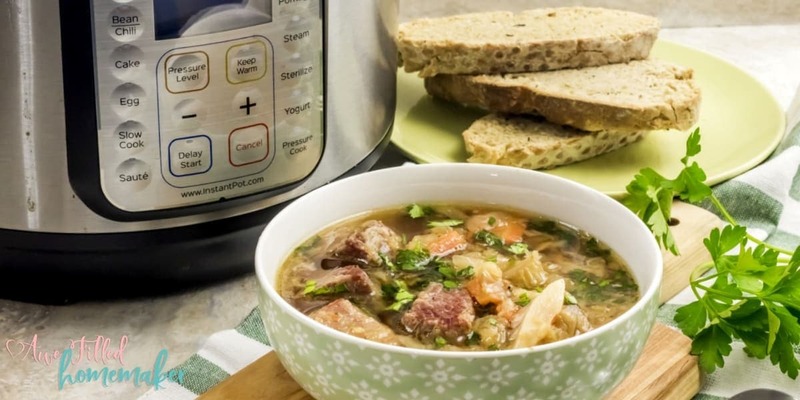 The IP is so easy to use and makes a wonderful soup, regardless which soup I choose to make. That’s probably why I own multiple of IPs. Plus, the ease of using it is mind-blowing. We’ve already made a lot of soups this winter, such as our Instant Pot Flu Fighting Chicken Noodle Soup. 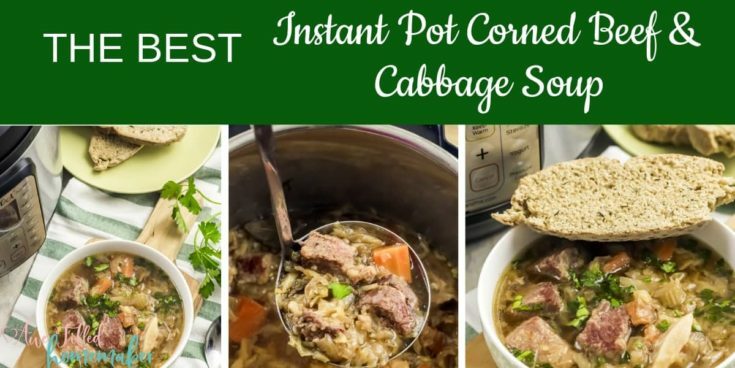 If you’ve never tried to make Corned Beef & Cabbage in your Instant Pot, you won’t want to miss out on this recipe. Crazy simple, super delicious and absolutely 100% worth it. History Lesson! 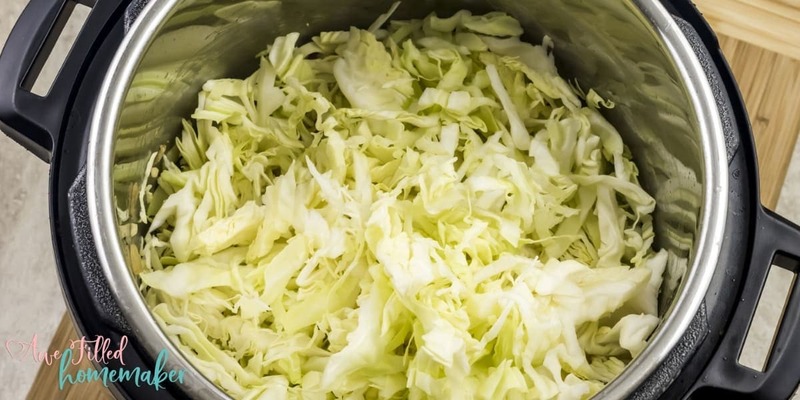 What is the history of Corn Beef & Cabbage? I love researching history tidbits, especially the history of recipes. I also love to research how things came to be! So how did corn beef and cabbage become a regular dish to grace dinner tables and restaurants all around the world during St Patrick’s Day? Well, this isn’t a traditional dish in Ireland, believe it or not. Wait, what?! Ok, don’t click out of the recipe yet!!! Hang on a second because this is actually a pretty cool story! When the first generation of Irish Immigrants came to America, they were looking for foods that reminded them of their Ireland. The actual traditional dish in Ireland is actually boiled bacon. Well, most of the new immigrants were very poor and couldn’t afford such an expensive dish. That led them to discover cheaper cut meats such as corned beef. Corned beef actually got its name from the cooking method. Anyway, the corned beef was then paired with cabbage because it was a cheap vegetable available to immigrants. 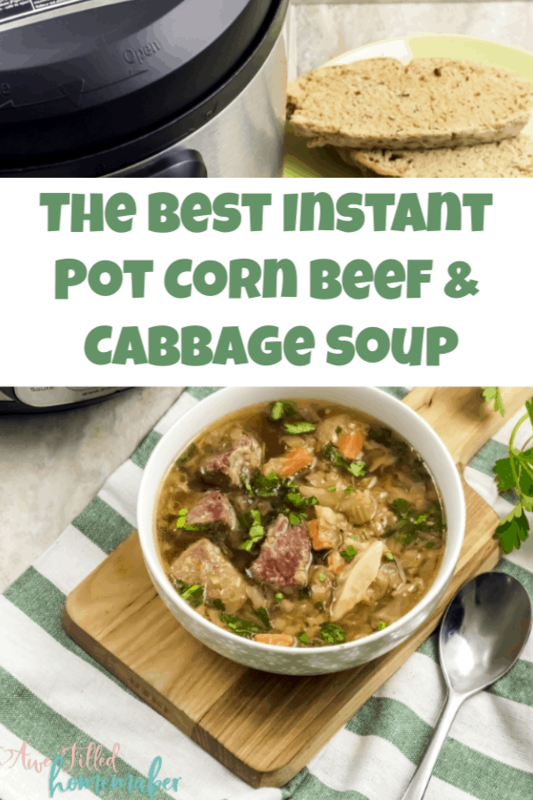 One of my missions in life is to constantly share how using the Instant Pot has benefited our family. Less stress, more time for family, more time for memories to be made rather than spending time cooking in the kitchen. 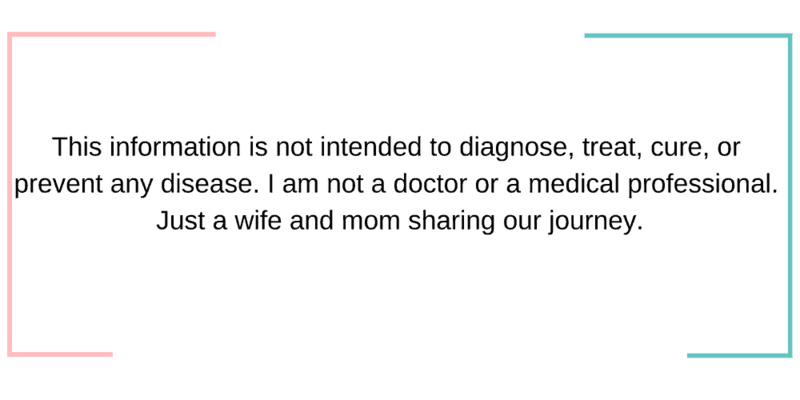 My hope is that you find that the Instant Pot can be the same “saving grace” for you and your family as well. This recipe is paleo friendly, gluten-free, soy free and it is low carb. In other words, it is healthy but tastes amazing! 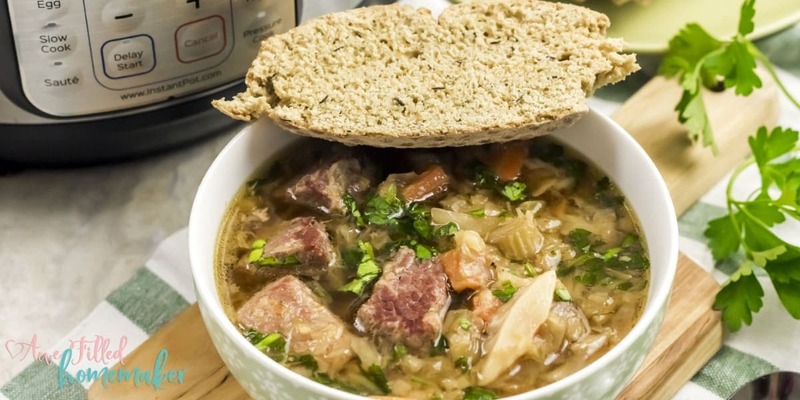 Trust me, you won’t miss any of the bad stuff because this soup is simply amazing! I often get asked questions regarding the recipes that I create. 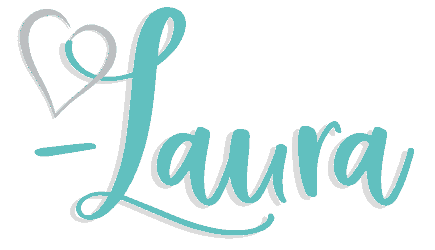 I thought it would be easy to share some of the common questions and answers. 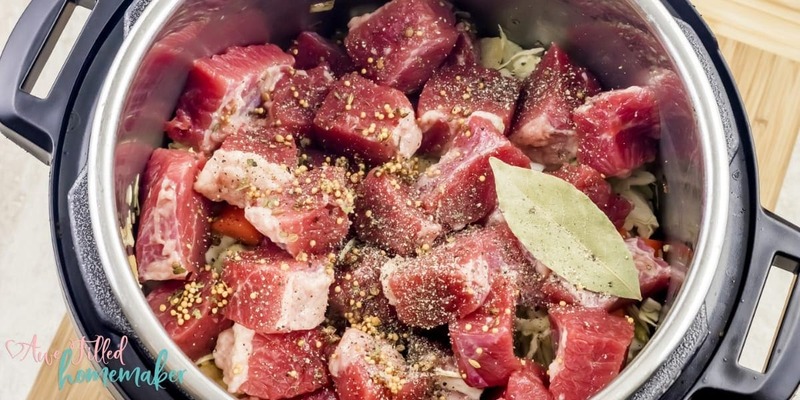 How long does it take to cook corned beef & cabbage in the Instant Pot? Once you finish sautéing the veggies, your pressure cooker will need to cook everything in it for about 30 minutes. Then it will need to pressure release naturally for another 20. 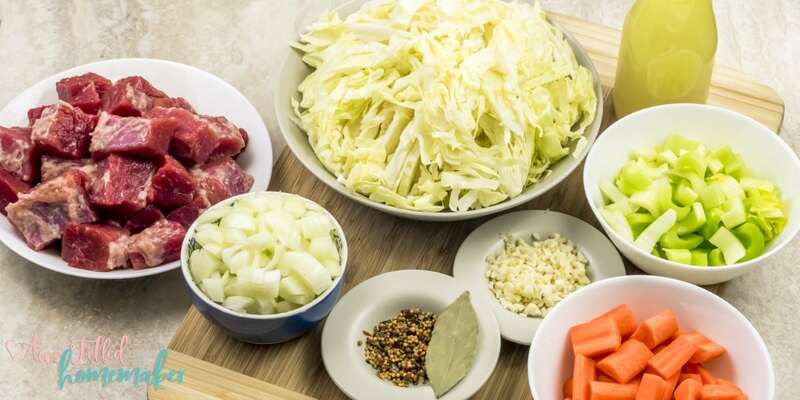 All things said, in less than an hour you’ll be chowing down on a delicious bowl of Instant Pot Corned Beef and Cabbage. Can I add my own seasoning to the corned beef rather than use the included package? Absolutely! The included seasoning packet is there if you need it, but if you’d rather season it differently, go for it! There are a ton of great seasoning ideas that you can find online or you can experiment and add to satisfy as you want. What is corned beef exactly? Corned beef is a larger cut of beef that has been soaking in brine for a long period of time. 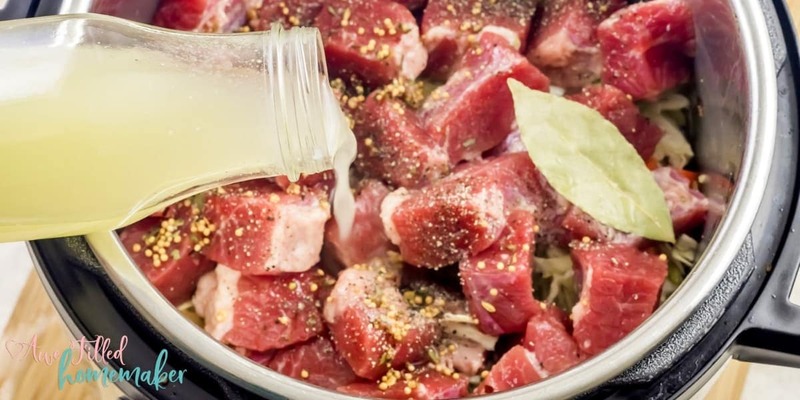 This is why it often has a saltier taste than other pieces of beef that you may eat. What else would you serve with Corned Beef & Cabbage? 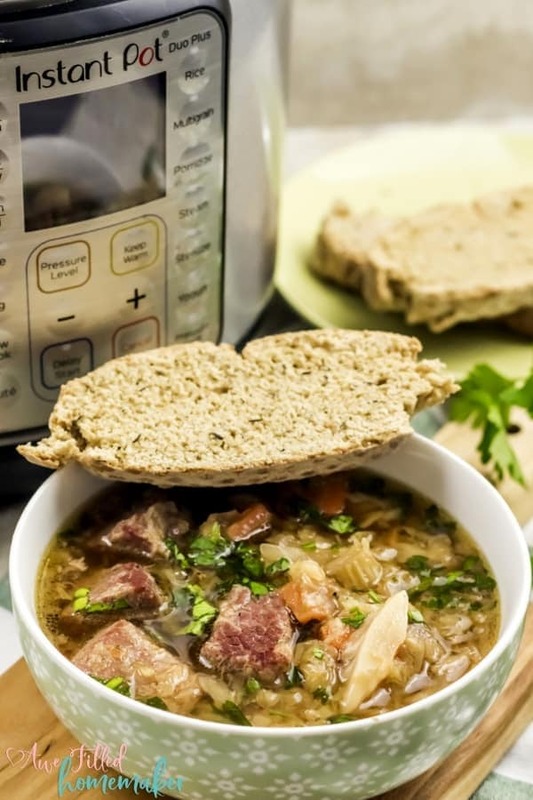 While Corned Beef & Cabbage is delicious on its own, you can serve it with a yummy bread of your choice as well. 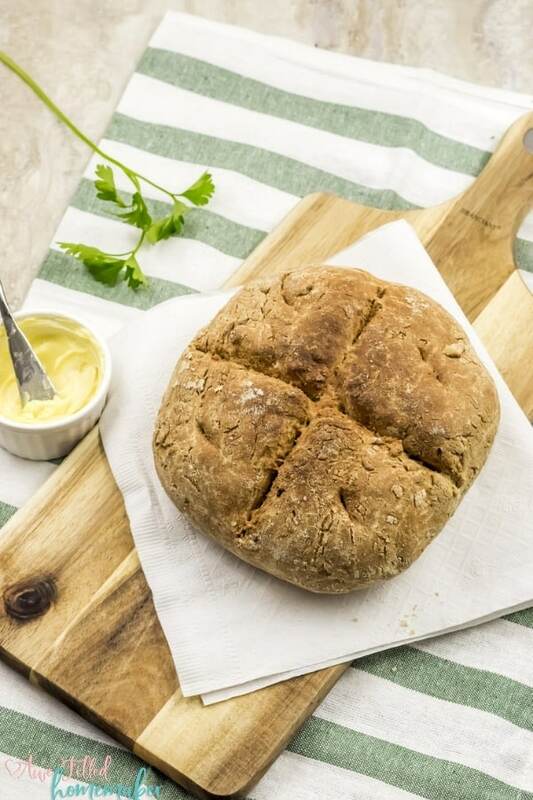 We prefer serving ours with Air Fryer Irish Soda Bread! 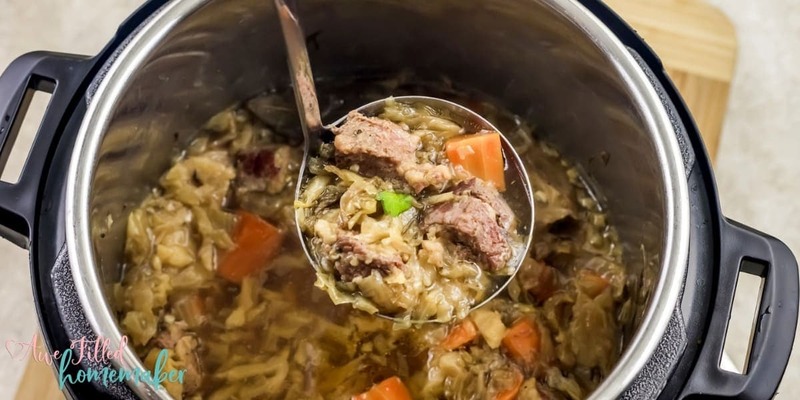 Many people also love to add some horseradish to their plate and combine that taste and flavor with the meat and cabbage. Since Brussel sprouts taste a lot like cabbage, they can also be a great addition as well. 3 cups of Chicken Stock (you can make your own in your instant pot!) We make sure we use soy free! 1) Turn the Instant Pot on the “Sauté” mode and add two tablespoons of oil. 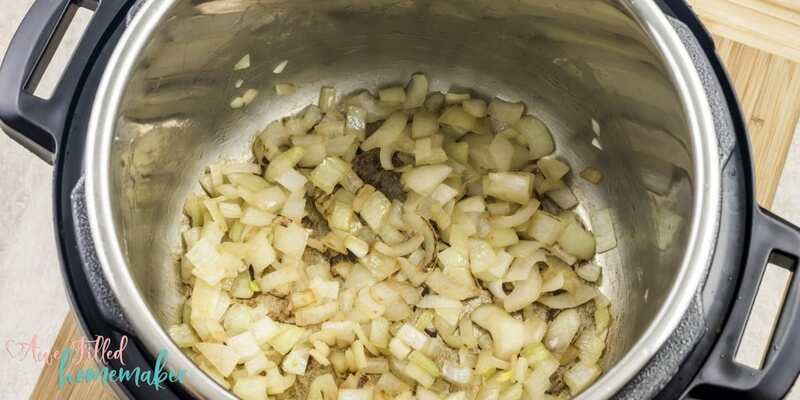 2) Add the onions and sauté it or 3 to 4 minutes until translucent. 3) Add the carrots, celery and garlic. Sauté for another 2 minutes. 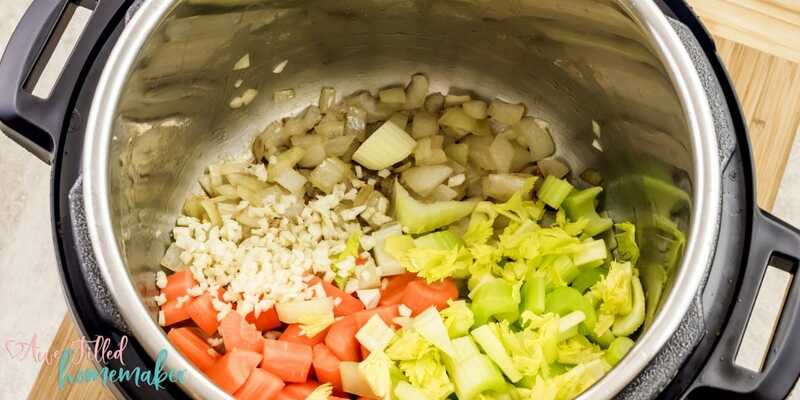 4) Add the sliced cabbage and mix well. 5) Add the diced corned beef, empty the seasoning packet that came with the corned beef and add a bay leaf. 6) Pour 3 cups of chicken stock. 7) Turn off “Sauté” mode. Attach the lid ensuring that the pressure valve is in the “Sealing” position. 8) Select the “Pressure Cook” mode and adjust the time with the “- / +” to 30 minutes. 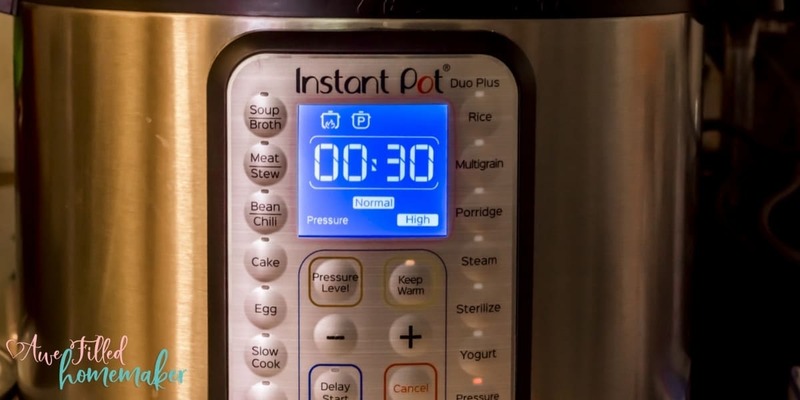 9) When Instant Pot beeps, allow the pressure to release the naturally for 20 minutes and then turn the pressure valve to the “Venting” position to perform a quick release. 10) Check for seasoning and adjust accordingly. 11) Garnish with chopped fresh parsley and serve immediately. This pairs so wonderfully with my Air Fryer Irish Soda Bread! YUM! 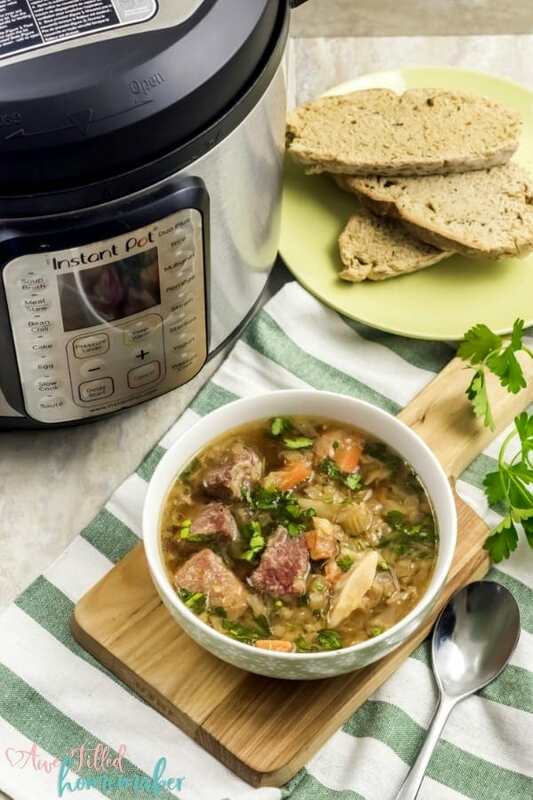 Just like that, your Instant Pot takes over and does all the hard work for you. With St. Patrick’s Day coming up, this Instant Pot Corned Beef & Cabbage is a great recipe that the entire family is certain to love! Make up a batch (or two!) and enjoy! Your taste buds will be shouting for joy with each and every bite! Made with tender and delicious corned beef, you’ll truly love each and every bite. Add the onions and sauté it or 3 to 4 minutes until translucent. Add the carrots, celery and garlic. Sauté for another 2 minutes. Add the sliced cabbage and mix well. Add the diced corned beef, empty the seasoning packet that came with the corned beef and add a bay leaf. Pour 3 cups of chicken stock. When Instant Pot beeps, let the pressure release the naturally for 20 minutes and then turn the pressure valve to the “Venting” position, to do a quick release. Garnish with chopped fresh parsley and serve immediately.